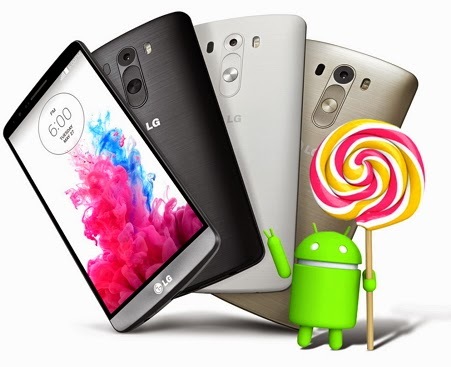 SEOUL, Nov. 9, 2014 ― LG Electronics (LG) this week will begin rolling out the highly anticipated Android 5.0 Lollipop upgrade for G3 smartphones starting in Poland this week, to be followed by other key markets in the near future. LG, the first global smartphone manufacturer to offer the Lollipop upgrade in 2014, will subsequently announce an upgrade schedule for other LG mobile devices. This latest Android OS delivers a host of improvements including a new design language with added depth, shadows and animations. Notifications are improved with a new layout and color scheme and will be available on the new lock screen. A new security feature to strengthen the connectivity between devices will include enabling users to unlock their smartphone when it is physically near a pre-registered Bluetooth device such as the LG G Watch or G Watch R. Lollipop also introduces Android Runtime (ART) software to improve performance. Additional details related to LG devices will be announced in the near future as the Lollipop upgrade becomes available in local markets.